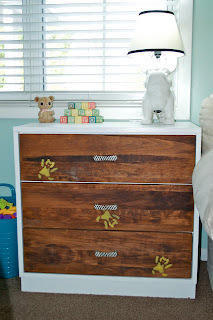 The bear dresser has finally been completed! While it was technically usable a long time ago, I didn't get around to adding the bears back on until recently. If you can remember back to last August (This project has been going on forever!) 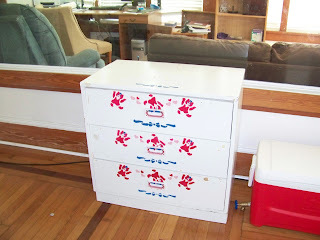 I created a stencil of the bears on the original dresser so that once I refinished it, I could add some nostalgia back. The stencil I made worked perfectly. I traced out the bears and then painted them. I only put on one very thin layer of paint to give it a more rustic look and used a bright yellow (the same yellow as the murals on the wall) to add a little punch of color. 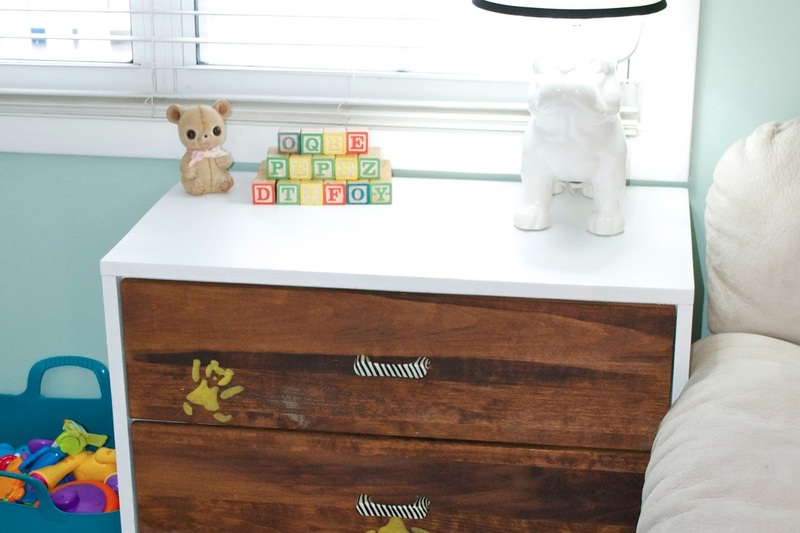 I also decided to do a simpler design with the bears and just have it look like one bear was cartwheeling down the dresser. Overall, I'm really happy with how it turned out. 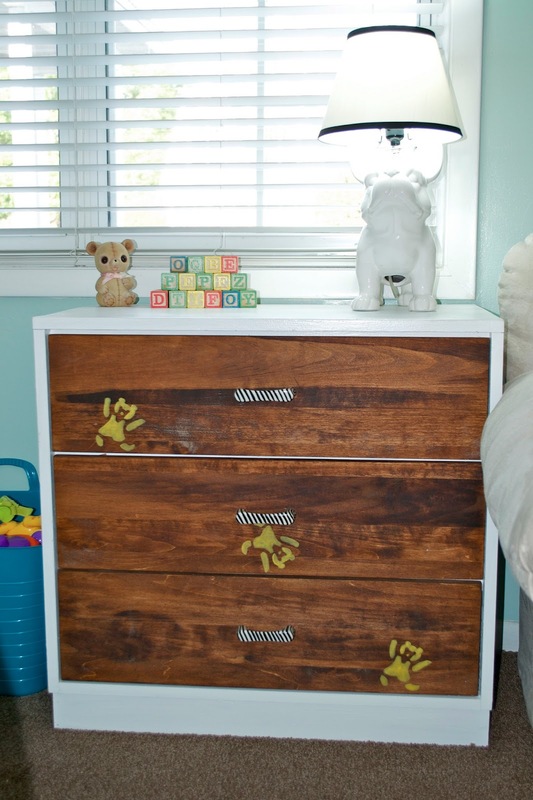 It definitely feels a little more masculine but the bears and the zebra handles keep it fun for Will's nursery.